What older adults need to know about maintaining good oral hygiene and how to help them. Maintaining good oral hygiene is a lifelong habit we strive to keep, but as we get older, it may become more difficult to achieve. Adults aged 65 and older may have additional health problems that affect their oral health and/or ability to access regular dental care. Family, home health care aides and seniors often have questions about senior dental care and this concierge dentist Manhattan calls on has the answers. Is it still possible for my elderly loved ones to get cavities at this age?Yes, in fact it’s easier for adults to get cavities more frequently than children. Some reasons for this are old fillings are targets for tooth decay, receding gums which may lead to exposed roots, and medication side effect of dry mouth, which makes your teeth more susceptible to decay and oral infections. Can we fix dentures at home, by ourselves?No, you may damage them beyond repair. It’s best to speak to your NYC concierge dentist because she can make the necessary adjustments in the comfort of your own home. How can my loved one access dental care if they have dementia?Dr. Kauffman, a New York City concierge dentist has over 30 years of dentistry experience and uses tried and true techniques to assist her patients to ensure they receive proper dental care. Does my loved one need to see a dentist if they don’t have teeth?Yes, a once a year oral exam is recommended to provide preventative dental care, screen for oral cancer and other potential dental problems. If your loved one requires dental care but is confined to their home, Dr. Kauffman, a concierge dentist in Manhattan, can help. Dr. Kauffman has over 30 years of dentistry experience, and caters to homebound seniors. Take a look at these advantages of Dr. Alisa Kauffman’s experience in dental care. 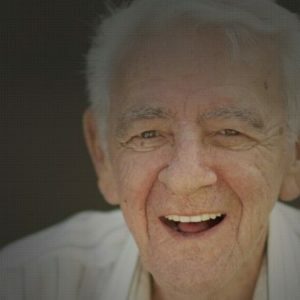 Services include: teeth cleaning, extractions, small fillings, repair or reline of old dentures, emergency care, and bite guards. You can also take a look at one of Dr. Kauffman’s episodes on Souls of NY, where you get a sneak peek of what it’s like to experience a concierge dentist in Manhattan. Dr. Kauffman can coordinate all treatments so that home health aides or family members can be part of the visit. For more information about this concierge dentist Manhattan trusts, contact Dr. Kauffman today 917-826-6278.